As the worldwide film and film music community mourn the passing of one of the truly great composers, JOHN BARRY, Tracksounds offers this small musical glimpse into the some of our favorite pieces from some of his most well-known films. 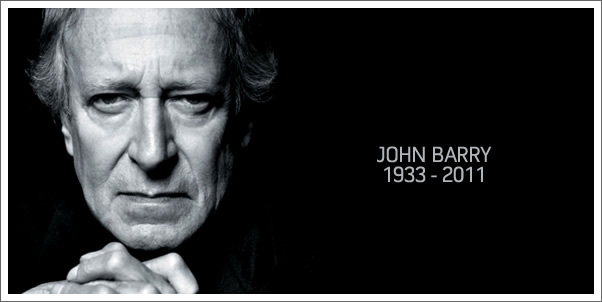 John Barry, while a part of him will live on through the volumes of music he blessed us with, will be greatly missed. Feel free to post your thoughts about John Barry below.